This paper describes what REDD+ is, in a manner that is accessible to policy makers, scientists and civil society and in a form that is completely consistent with the UNFCCC decisions and agreements. In December 2015, the Paris Agreement recognized the critical role of forests in combating climate change. This recognition included actions to halt and reverse the rate of deforestation and forest degradation in developing countries, which have contributed up to 20 percent of annual greenhouse gas emissions. To assist countries in these actions, the agreement includes a framework of policies and incentives for reducing deforestation and forest degradation and increasing carbon storage in forests through conservation and sustainable management. This is known as REDD+, a mechanism that has evolved over a decade of discussions, research, and negotiations to become a key piece of the newly adopted climate architecture. 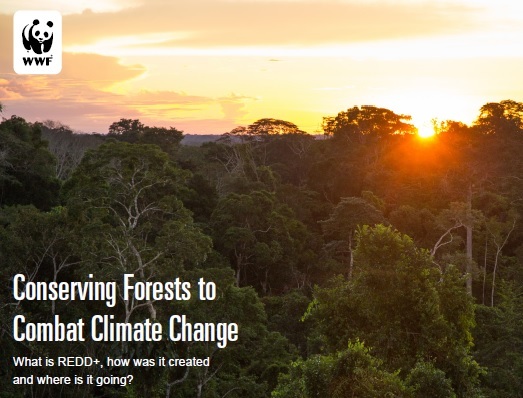 The aim of REDD+ is to halt and reverse forest cover and carbon loss in developing countries by helping countries shift to low-emissions development pathways by increasing the value of healthy forests relative to other land uses. Achieving and sustaining the objectives of REDD+ requires the transformation of economic activities within and outside of forests, often referred to as the drivers of deforestation and forest degradation. A solid understanding of REDD+ and the Paris Agreement is needed to accomplish these economic transformations and conserve forests as natural places, carbon stocks, and sustainable resources. This paper describes what REDD+ is, in a manner that is accessible to policy makers, scientists and civil society and in a form that is completely consistent with the UNFCCC decisions and agreements. Download the full report via the link on the right.